Sliding doors have high functional features of its own and if these doors come with improved customization, their features gain additional value. One of the prominent sliding doors is glass sliding doors. The excelled feature of a glass sliding door is not restricted to the vision facility that it provides but has a higher aesthetic value. They are mostly used for small span openings such as entrance doors of companies and administrative departments. The transparency that they provide makes the quality inner interiors of the hall easily visible to the outsiders making them keen and interested during their visits. Glass sliding doors have turned out to be a status symbol for the corporate offices. Apart from the aesthetic look that they provide they ensure high functional efficiency. Glass sliding doors are totally automatic and used for frequent opening and closing. The operation timing of these doors can be easily set or reset for that matter. Even the maintenance of these doors is not at all a big deal. Mostly popular amongst commercial buildings/shopping complexes, offices, corporate houses and internal door between two doorways in any industry. Various types of Standard & Economical range of panels are available to suite your building structural requirement. 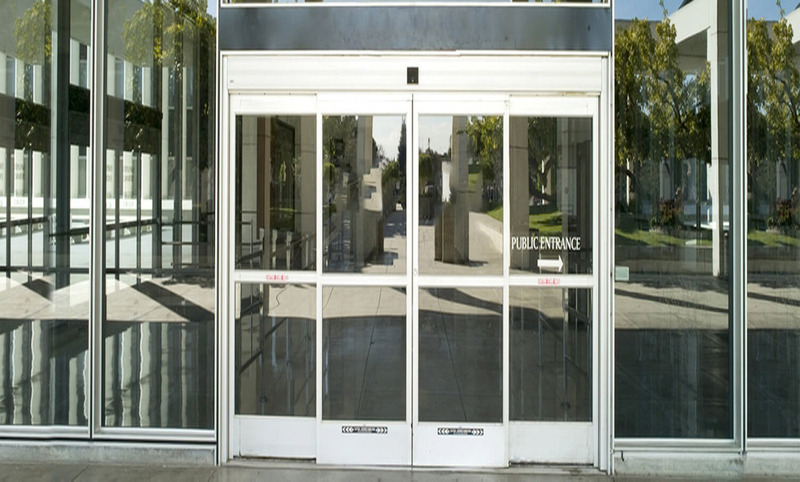 These doors offer interlocking facility between two doors. Our engineers will first survey the site with all detailed planning of the sliding automatic door which includes designing, installation, post installation, security issues, etc. Our major clients get attracted through the price that we keep. In the area like Manchester, we have the most competitive pricing available in the market. Another advantage is that you get to customize the sliding automatic door according to your needs. It depends on what kind of store do you have and the design will be made accordingly. We offer the best Sliding Automatic Door in Manchester. To know more, Feel free to talk to me if you think you have received a lower quote from someone else.